Yogi Mohit is a perfect example of how the young generation can adapt with this ancient art of yoga and meditation. With expertise in Hatha and Ashtanga yoga, yogi Mohit ji had developed interest into this pious art of relaxation and self-control right from the time when he was in 8th Standard during his school time. As he started learning the basics of yoga and the mystery behind it, he started developing interest in it and now he ranks among one of the best yoga teachers in rishikesh in the field of yoga and meditation. He has also traveled to various nooks and corners of India to attend yoga camps by Baba Ramdev. Being a newbie to the world of yoga can be overwhelming at times and Yogini Manisha is one such teacher at Rishikesh Yog Mandir who understands how to accumulate any particular body type to mould itself into different poses of yoga with ease. Yogini holds a diploma certificate in yoga and has been a proficient teacher and one of the loved ones among the students for her understanding and experiment based nature. 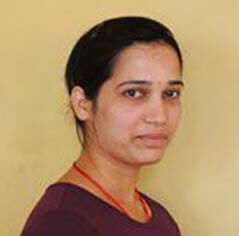 She has been teaching in the institute since the year 2016. With proficiency in multi-styoe yoga, Yogini has expertise in the fields of Hatha yoga, Ashtanga Vinyasa of primary and secondary series along with Kundalini and Sivananda yoga and many more. With prodigy in the field of speaking, Yogi Mahesh Bhatt has been inflicting the essence of positivity into the minds of young students with his charismatic personality which radiates purity and knowledge at its best. He has topped in the Uttarakhand Sanskrit University while pursuing his masters’ degree in yogic sciences and received a gold medal for his exceptional performance. Yogi Bhatt regularly practices the art of speaking and has participated in numerous international conferences conducted on yoga and its benefits. From educational institutes to hospitals and various public seminars, yogi Mahesh has conducted a lot of workshops on yoga, Ayurveda and naturopathy to let people in on the benefits of this art. 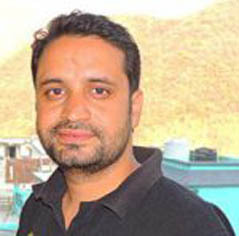 Dr. Gaurav Agrawal is an intellectual who was born and brought up in the yoga capital of India, Rishikesh. Along with a Ph.D. in Clinical Psychology, Dr. Agrawal has studied the philosophy of yoga sutras which has helped him attain clarity and control in life. He holds an experience of more than 5 years in the field of teaching yoga philosophy to students from many different yoga schools in the beautiful surroundings of Rishikesh. He is loved and adored by the students who describe him as a kind hearted and soft spoken person who is ever ready to clarify all your queries whether it’s during the class or after it. 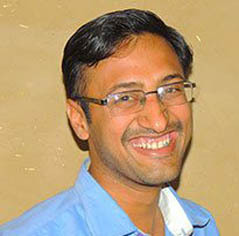 Dr. Agrawal makes philosophy much simpler to understand as well as interesting for the students. His teachings usually incorporate the use of simple relatable stories that touch your heart while imparting the required teachings. Yogi Mohit is a perfect example of how the young generation can adapt with this ancient art of yoga and meditation. With expertise in Hatha and Ashtanga yoga, yogi Mohit ji had developed interest into this pious art of relaxation and self-control right from the time when he was in 8th Standard during his school time. As he started learning the basics of yoga and the mystery behind it, he started developing interest in it and now he ranks among one of the best teachers in the field of yoga and meditation. He has also traveled to various nooks and corners of India to attend yoga camps by Baba Ramdev. Starting from the fundamental courses of Rishikesh yoga to the highest level courses like 500-hour yoga teacher training, we can be the one-stop destination for all. Our teachers are the certified yoga trainers from the best Gurukuls in India. They carry immense experience in teaching students of all experience level. We welcome everyone, no matter you want to stay within our campus premise or at your center. In fact, we have been very much flexible about teaching timing as our trainers are an integral part of our institution; they stay within the campus. Moreover, one can expect any level of personalized care from our yoga center in india.